According to the Pareto principle, 80 percent of overall value or profit stems from only 20 percent of total items, services or efforts. In other words, not all your inventory sells at the same rate and offers the same impact on your bottom line. If you are considering warehouse management services, supply chain coaching or any services to improve the effectiveness of your sales process, examining which products bring you the biggest impact on your profits and sales can help you make smarter decisions in the future. 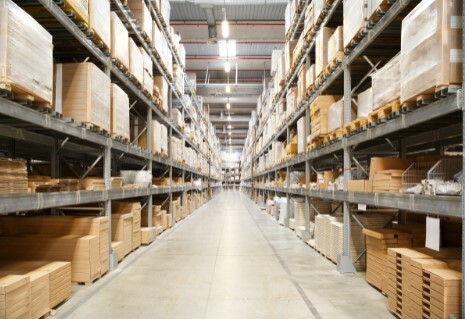 One of the best ways to evaluate inventory so you can differentiate the most crucial products is through the ABC approach to warehouse velocity. The ABC method asks you to categorize your inventory into category A, B and C products, with A products being those with the highest consumption value on an annual basis and C products being those with the lowest yearly consumption value annually. Category B products are those in between. To determine which inventory items require your attention, multiply the cost per unit by annual demand for every product you sell. Like many organizations, you may find C products are numerous but do not add as much to your value as you imagine. It is not unusual for category C items to account for 50 percent of inventory stock but represent 5 percent in sales, while category A items may represent only 15-20 percent of inventory and over 70 percent of sales. Once you know which products offer your business the most consumption value, hone in on category A products. These are products you wish to use stricter inventory control on and run analysis and sales forecasts. You need to ensure these products are not out of stock, which may mean reordering more frequently or using an automatic reorder system. In addition, you may wish to use logistics fulfillment services to ensure the entire sales process for these products is as smooth as possible. Aim to get your product A category items to customers in the most efficient and direct way possible, so the customer experience is closely overseen and runs smoothly from the moment someone orders a product until it is in their hands. Rockfarm Supply Chain Solutions is an experienced third-party fulfillment logistics company offering claims services, transportation management, truckload fulfillment, international forwarding, solution design, supply chain coaching and more. We go beyond traditional resource management and fulfillment solutions to offer a truly turnkey, custom approach. We can help you identify the products that offer the largest consumption value, and we work with your team to ensure every step in the fulfillment process is as efficient and trouble-free as possible. Our goal is to save you money while helping build your company’s success. Best of all, Rockfarm Supply Chain Solutions ensures the solutions you use are scalable. As you expand to new locations or perhaps even around the world, we work with your team to make sure your systems are always ready for successful growth without the growing pains. Contact us today to learn about our supply chain services!